A Tender Heart » Blog Archive » What’s going on behind my camera lens? Well, settle back and fasten your seat belts, because that’s where I’m going to take you….. 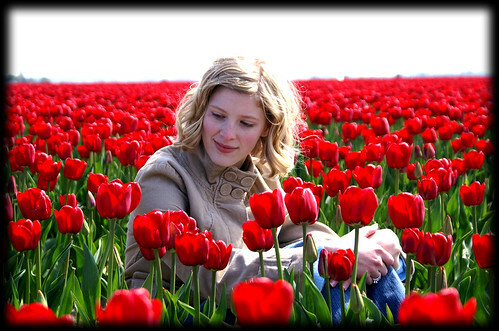 Here is Preston’s mom looking perfectly lovely amidst a never-ending field of gorgeous red tulips. So, now that you have that image in your mind, please follow me to see what was going on behind my camera lens….. Here I give you the Bubbers king and his dear friend, Preston. They are playing in the mud. I don’t remember how long Preston’s mom and I took turns posing in the tulips and giggling like giddy school girls, but those boys didn’t make a single peep the whole time. And then we went back to taking more foofy romantic pictures and giggling like giddy school girls. Now I give you this picture. 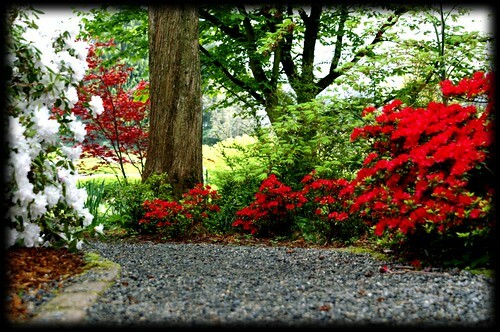 A wonderful little path I found on the grounds of our local temple that inspired so many romantic stories in me that I had to capture it–no matter what the cost. Which brings me to showing you what that cost was….. Here I give you me. And, of course, the sweet Bubbers king and his dear friend, Preston. Eating rocks and digging in the dirt. I saw a story and I captured it. 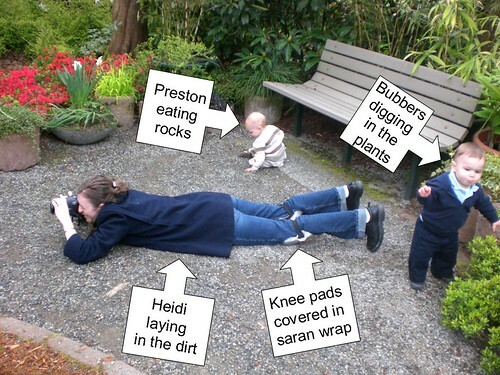 (And then Preston’s mom saw a story and captured it, too). p.s. Andrea is offering one more exciting chance to win a set of her creative Beleoki Design belts on her blog. To enter, just leave her a comment before Wednesday, May 28th, at 7:00 p.m. Good luck! Haha! Small prices to pay for the pictures you ended up with. This is so funny, imagine someone walking past you while you were taking that photo, the look on their face. Wonderful photos now you have let us in on your secret of your wonderful photograhy. thanks for sharing!!! i always wondered what you were doing behind the camera. thanks for also letting people know about the drawing! it helps so much!!! Those were great behind the scenes moments! Now we know the rest of the story. I think its funny that you were wearing kneepads. But practical!